Murder in Mesopotamia, one of Agatha Christie’s more celebrated mysteries, was published in 1936. As I did with Evil Under the Sun last year I’m going to review the novel and then add a brief review of the 2002 television adaptation. Christie, being married to archaeologist Sir Max Mallowan, had a rough working knowledge of the subject and had accompanied him on a number of digs. Using an archaeological dig as a setting for a murder was very obviously a splendid idea. Christie was particularly good with exotic locales - she never allows them to overshadow the plot or to slow things down but she uses them very effectively for atmosphere. In this case the action takes place in the expedition house, a large building with a central courtyard. Very conveniently (for Christie’s purposes) there is only one way of getting in, through a gateway which is always guarded. And there are no windows at all that will allow access from outside. If a killer is going to get in he must come through the gateway and when murder does occur in this novel the gateway is under observation by three servants, all reliable and trustworthy. So we have the classic setup - the killer must have been inside already and therefore must be a member of the expedition. There are therefore only about half a dozen possible suspects. The dig is in Iraq, not too far from Baghdad. Dr Leidner leads the expedition. He is accompanied by his wife. There is his long-time colleague Carey, there is Mr Mercado and his wife, a French monk whose job it is to translate inscriptions, and three younger men. Also on the scene but not living in the expedition house are Dr Reilly and his daughter. There is also the narrator, Nurse Leatheran, is a woman with plenty of sound common sense but very little imagination. She’s also inclined to be a remarkably poor judge of people. If they have good manners and are superficially refined she thinks the best of them. if they seem not quite respectable she thinks the worst of them. That’s undoubtedly why Christie found her to be ideal narrator. She’s not exactly an unreliable narrator but she is (like Captain Hastings) inclined to miss crucially important points. In fact she’s a bit of a fool. 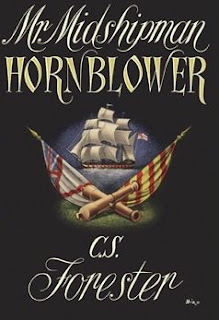 Having a narrator who understands little or nothing of what is going on is of course a favoured device of mystery writers, being incredibly useful in encouraging the reader to miss key plot points. Christie always enjoyed using it to add humour as well. Nurse Leatheran has been employed because Mrs Leidner has vague and unspecified nervous troubles. There is an odd atmosphere of tension among the expedition members. Of course there is a murder. Luckily it just so happens that a certain Belgian detective is in Iraq at that very moment. 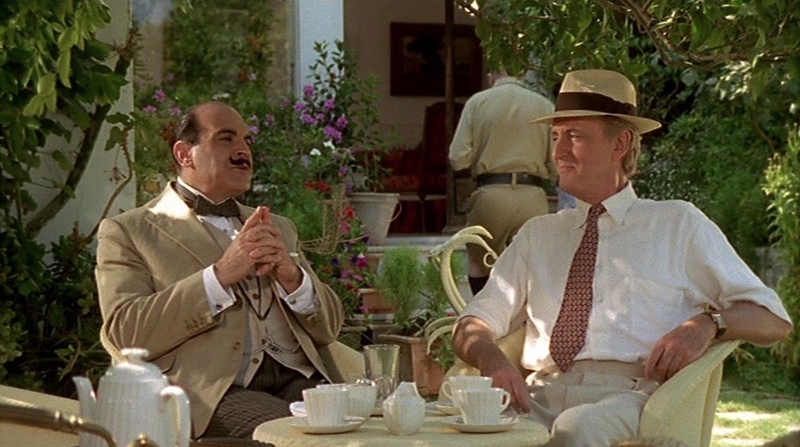 Poirot is on the scene very quickly. He makes it clear that he believes the mystery can only be solved by understanding the victim’s personality. There seems to be an extraordinary amount of disagreement among the expedition members on this point. The victim may have been universally loved or universally disliked. It all depends on whom you ask. There’s a lot to admire in this book. There are some very clever, very devious clues. Devious, but fair. There’s some good stuff involving alibis. There’s some wonderful misdirection. My problem with Christie is that most of her books are extremely clever but for me there’s nearly always something that doesn’t quite satisfy me. To be totally successful a detective story has to have a solution that is ingenious but at least vaguely plausible. Not so much technically plausible but psychologically plausible. I have to feel that the characters really might have behaved in the way that the book has them behaving. In Murder in Mesopotamia there is one crucial psychological element that in my view fails the believability test. So for me it’s another Christie that ends up leaving me with a few doubts. She has built an extraordinarily impressive house of cards and then added one final card that risked causing the whole thing to collapse. Overall this is a dazzling piece of work and that final card probably wasn’t even necessary. Apart from the plotting it’s typical Christie. I’ve never understood how anyone could find Christie dull. Her writing has a delightful sly wit and in this case her use of the incredibly obtuse nurse as narrator is masterful and very amusing. 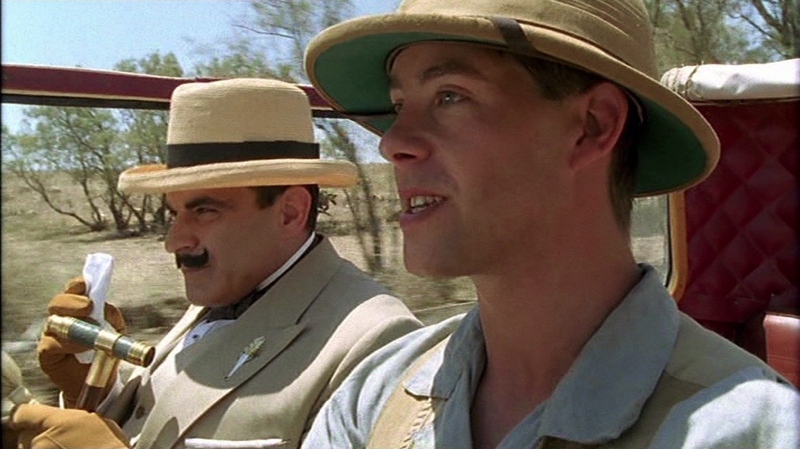 Murder in Mesopotamia is a brilliant work with perhaps a minor flaw. It’s still recommended. The TV version omits a few characters but they’re mostly peripheral characters like Dr Reilly (whose daughter now becomes the daughter of Police Superintendent Maitland. A more important change is that Nurse Leatheran is demoted from narrator to being just another member of the party. A pity since her psychological obtuseness was amusing. Captain Hastings is introduced into the story, quite unnecessarily but he was popular with viewers and he takes over from Nurse Leatheran as Poirot’s sounding board. The plot remains basically the same except that writer Clive Exton increases the body count dramatically. There’s no need for this but presumably he felt that a murder was needed right at the start to keep viewers interested. The biggest weakness is the casting of Barbara Barnes as Louise Leidner. She’s just not glamorous enough to be convincing as a woman who exercises an overwhelming power over men. Of course it looks fabulous. Even when this series got everything else wrong it looked great. In this case it gets things mostly right. The minor reservation I have about the novel applies also to the TV version. It’s still pretty decent entertainment. 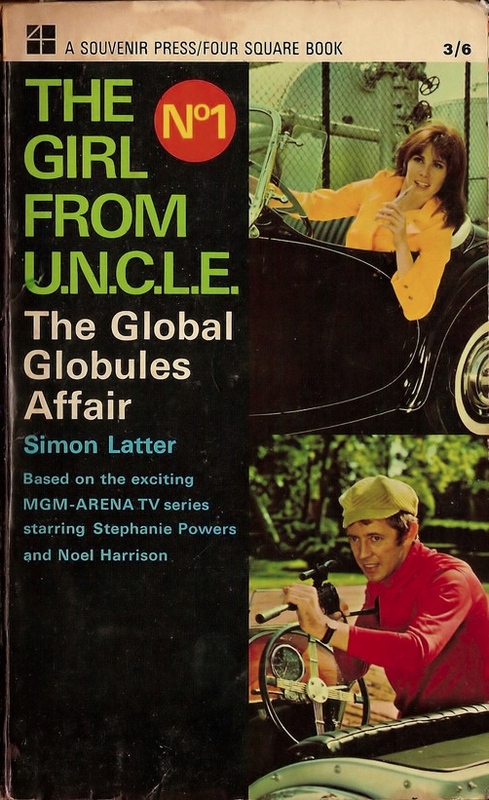 The Global Globules Affair, written by Simon Latter and published in 1967, was one of five tie-in novels associated with the short-lived television series The Girl from U.N.C.L.E. which aired on NBC in 1966-67. Like the television series on which it’s based it’s a light-hearted and enjoyable mix of science fiction and spy thriller. It’s basically harmless fun and if you’re a fan of the original television series it's worth a look. Here’s the link to my full review at Cult TV Lounge. Finding a book by a very obscure crime writer is always satisfying and I think Frank King certainly qualifies as obscure. Frank King (1892-1958) was an Englishman who wrote about forty crime novels and had several series characters, the best-known being a London private investigator knows as The Dormouse. Nobody seems to know anything more about him than this. 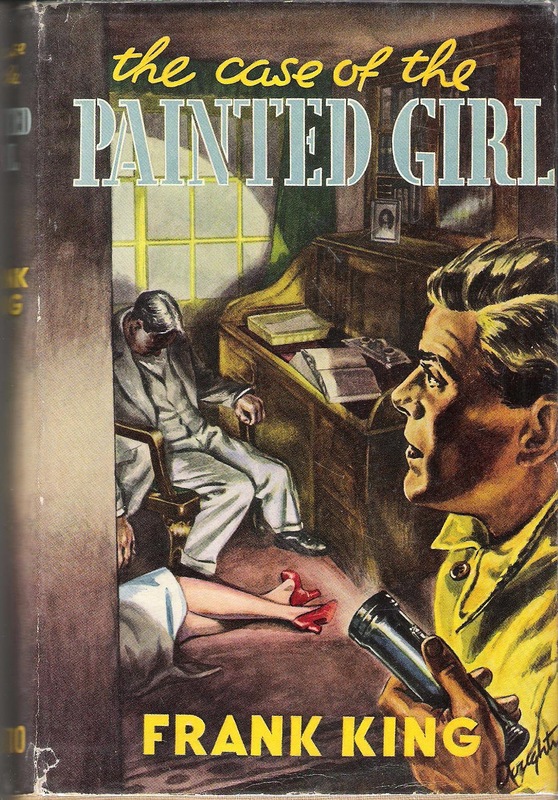 The Case of the Painted Girl was one of his earlier books, appearing in 1931. 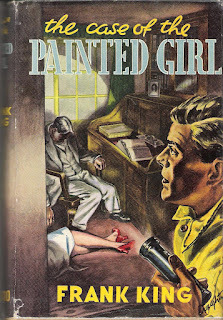 The Case of the Painted Girl features another of King’s series characters, Chief Inspector Gloom of Scotland Yard. An aptly named fellow he turns out to be, with a corpse-like face and an unfailing sense of pessimism. Oddly enough he seems to derive a great deal of enjoyment from his pessimism. It’s obvious fairly early on that this book is going to be a mixture of thriller and mystery elements. It all starts when young stockbroker Jimmy Harrison has car trouble on his way to Scotland. He’s out in the middle of nowhere but luckily he finds a house. It’s an isolated house and appears to be empty but he soon has good cause to think that it isn’t empty at all. He desperately needs water for his car’s radiator but no-one answers his knock. Then he hears a piercing scream, and making his way inside he finds - murder! It’s worse than that though, the murderer is still there and Jimmy has to find a way to keep both himself and the girl alive. Who is this girl? Jimmy has no idea except that she appears to be a damsel in distress. Staying alive proves to be a challenge, and things get worse, much worse, when the policeman knocks on the door. This is going to be the most adventurous holiday of Jimmy’s life. And if he isn’t careful, it may be the last. From this point on the plot becomes more and more outrageous. This is not an impossible crime story but there is an impossible element to the murder. For Chief Inspector Gloom this is an exasperating case, with endless complications and clues that seem to lead nowhere except to further complications. This is much more than a simple murder. And the murderer is clearly much more than your average killer. There’s certainly a mystery here, a puzzle that will need to be solved, but this is not a classical golden age detective tale. There are significant suspense elements and it’s really a complete potboiler, with plenty of nods to Edgar Wallace and perhaps just a dash of Sapper as well. That’s not necessarily a bad thing, as long as it’s done with style and energy and in this case the style and the energy are present in abundance. The plot is ludicrously far-fetched and manages to include every single fun cliché that you could hope for in a thriller of this vintage. It might not be especially polished, it might not have any redeeming literary qualities but it has to be admitted that the author does everything he can think of to make it entertaining. Chief Inspector Gloom is a delightful character. His pessimism, his apparent lethargy and his taste for the macabre are largely a pose. In fact he’s a bundle of energy and the more difficult a case proves to be the more pleased he is. He’s really a cheerful and kindly man but he finds it makes life much more amusing to hide those qualities. He doesn’t really get to do much detecting in terms of looking for clues or breaking down alibis. It’s not that kind of story. What matters is that despite his apparent pessimism he has plenty of bulldog tenacity. Jimmy Harrison and Myra Livingstone play the hero and heroine rôles. Jimmy is the sort of young man who finds being mixed up in a murder investigation and a gigantic criminal conspiracy to be an absolutely topping way to spend one’s holiday. He relishes the opportunity to play the hero to a pretty girl. He’s chivalrous and he’s easy going. Myra Livingstone plays the heroine rôle and she’s equally likeable. She’s high-spirited and impetuous but thoroughly respectable. And this being a thriller there’s a proper villain. Not only that, he is a full-blown Diabolical Criminal Mastermind with a Fiendish Plot that must be stopped. The Case of the Painted Girl is fast-paced and enjoyable nonsense. Recommended if your tastes run that way. Now for the bad news - availability. King’s books are long out of print. It’s not completely catastrophic news though - used copies of at least some of his novels are around and are not necessarily all that expensive. 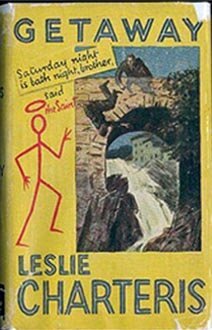 Otis Adelbert Kline (1891–1946) was an American pulp writer in the mould of Edgar Rice Burroughs. In fact he is sometimes dismissed as a mere imitator of Burroughs. Whatever sub-genres Burroughs worked in (or often invented) you could be pretty sure that Kline would soon be working in as well. Like Burroughs he wrote sword-and-planet adventures set on Mars and Venus, he wrote lost world stories and he wrote jungle adventure stories. An imitator he may have been, but at the time he was considered to be possibly Burroughs’ most serious rival in those genres. 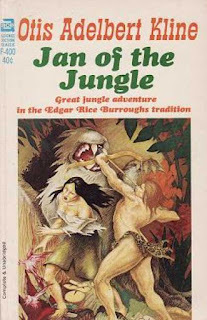 Jan of the Jungle, published in 1931, is a jungle adventure tale about a boy raised by chimpanzees, which certainly does sound remarkably close to Burroughs’ most famous creation, Tarzan. Jan is the son of a millionaire. For complicated reasons he is kidnapped as a baby by the evil mad scientist Dr Bracken and raised by a female chimpanzee. He can understand the primitive language of chimpanzees but he has no knowledge of any human languages. Since the book takes place in South America you may be about to object that there are no chimpanzees in South America but Kline has that objection neatly covered. He escapes and has various adventures in the jungles of South America, with Dr Bracken pursuing him remorselessly. He also meet Ramona and falls in love with her. We will later discover that her personal history is as strange as Jan’s. So far it sounds like an exact Tarzan clone but things are about to change. 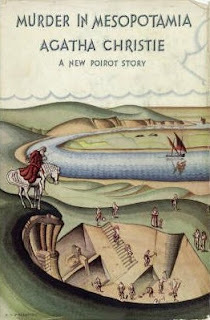 Jan chances upon the entrance to an underground river which takes him to a hidden valley. Jan of the Jungle is about to become a lost world tale. At this point Kline decides to abandon any pretence at plausibility. The hidden valley contains not only a Mesoamerican lost civilisation but a huge variety of extinct animals, ranging from species extinct for thousands of years (such as sabre-toothed cats) to those that have been extinct for tens of millions of years (such as the stegasaurus). No explanation is offered for the survival of either the lost civilisation or the extinct animals. Not that it matters - if one demanded strict plausibility of lost world takes one would end with no more than a tiny handful to choose from. There are two main sub-plots, the Jan sub-plot which concerns his parentage and Dr Bracken’s many attempts to recapture him, and the Ramona sub-plot which concerns her parentage and an attempt to kidnap her. Kline also at least pays lip service to the “boy caught between two worlds” theme but with an added twist since Jan is caught between three worlds - the modern world, the world of the jungle and the world of the hidden valley. To Jan it seems like the latter two are more likely to bring him contentment but then there’s the question of Ramona. Dr Bracken is obviously a serious villain but in the hidden valley Jan will find another equally dangerous and treacherous enemy. The important thing is that there’s enough here to satisfy the tastes of both jungle adventure and lost world fans and if you’re a straightforward fan of action and adventure you’ll find both those commodities in generous quantities. Now if this had been an Edgar Rice Burroughs story there would have been a lot more attention paid to making the lost world more complex and more interesting and to explaining how it actually works. It would have been a much more fully developed lost world. Kline however has no such ambitions. He’s content to write an exciting pulp adventure yarn. In other words there’s a reason Edgar Rice Burroughs is still a household name and Otis Adalbert Kline isn’t. That’s not to say that there’s anything wrong with Jan of the Jungle. As long as you accept its pulp limitations it’s enjoyable. If you’re a Tarzan fan and you’ve read all the Tarzan stories or if you’re a lost world buff like me you’ll want to check this one out. Not great but still fun. 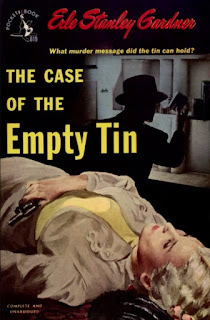 The Case of the Empty Tin is a 1941 Perry Mason mystery by Erle Stanley Gardner. The tin referred to in the title is a tin of preserves, only there aren’t any preserves in the tin in question. The tin is empty but has been carefully sealed up. And nobody knows how it came to be on the shelf in the basement of the Gentrie home. It’s just a minor domestic mystery and couldn’t possibly have anything to do with the murder that took place next door. But Perry Mason is interested in any and all mysteries. The house next door to the Gentrie house comprises two flats. There seems to have been a shooting in the downstairs flat. Certainly a gunshot was heard. Perhaps two gunshots. Bloodstains were found. The occupant of the apartment and his housekeeper are both missing. Perry Mason’s client is the man who lives in the upstairs apartment, a Mr Karr, a man who has reasons for not wanting to attract any publicity. In fact he’s so horrified by the prospect of publicity that he hires Mason to help Lieutenant Tragg solve the case as quickly as possible. Mason is happy enough to do so and he puts the Paul Drake Detective Agency to work digging up leads. Mr Karr is crippled by arthritis and confined to a wheelchair so he can’t possibly be a suspect. On the other hand he does think it possible that he might have been the intended victim. He has been involved in some very legally ambiguous business dealings in China, the sorts of business dealings that can potentially lead to murder. Actually gunrunning is perhaps more than just legally ambiguous. This is another case that sees Perry Mason sailing close to the wind as far as the law is concerned. Perry is never one to tell the police things that he doesn’t think they need to know but not reporting dead bodies is definitely taking a risk. He’s also risking his friendship with Paul Drake. Drake is used to Mason’s risk-taking but he does at least like to be told when Mason is leading him into a legal minefield. Mason in fact is much more reckless than usual in this story. 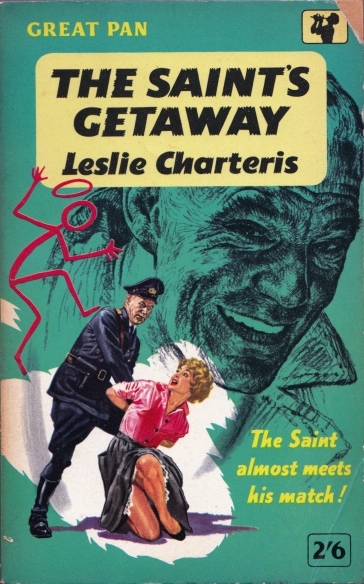 There's a particularly memorable scene in which Perry and Della bluff their way out of a situation which seems certain to lead to their arrest for breaking and entering. The tin itself is obviously going to turn out to be an important clue, and it’s a very clever (if slightly far-fetched) one. There are other vital clues that are cunningly contrived to contain various layers of ambiguity, and even Perry Mason is led astray by one such clue. In this story Perry Mason mostly acts as a de facto private detective with surprisingly few opportunities for pulling legal rabbits out of hats. It’s one of the rare Perry Mason novels that does not include a single courtroom scene. Lieutenant Tragg and Perry Mason are not always on the most cordial terms but this time they more or less on the same team, even if Tragg still has his suspicions that Mason is trying to put one over on him. Mason is definitely trying to set traps for the chief suspects. Tragg is trying to do the same thing. And the murderer is setting traps as well. Setting traps for various persons, including Perry Mason. The plot is fiendishly complicated. Gardner does his best to play fair with his readers. He was a master craftsman but at times in this book the plot does seem to be in danger of collapsing under its own weight. It does hold together, but only just. 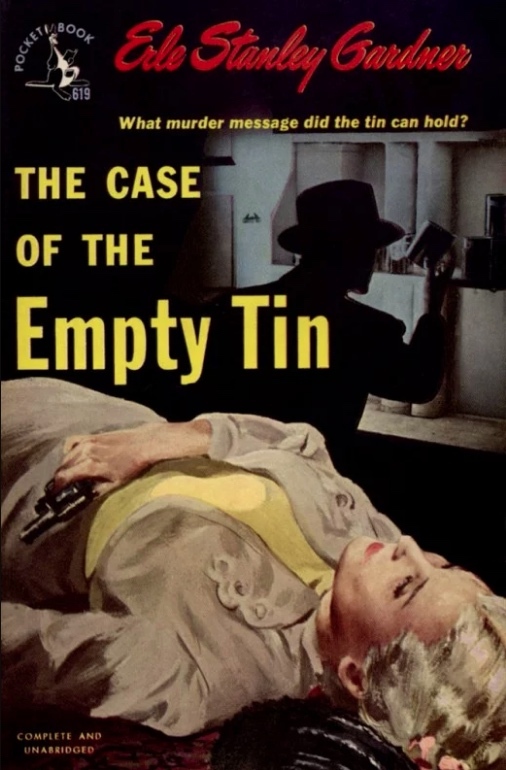 The Case of the Empty Tin is not quite a typical Perry Mason mystery and it’s also not quite in the front rank of the Perry Mason stories. It’s still good entertainment and can still be recommended to fans.